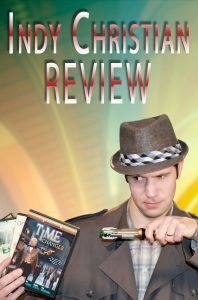 Indy Christian Review is a weekly web series where the Storyteller (played by Zack Lawrence) reviews independent Christian movies. With the help of his friends Mr. Researcher, Uncle Bob and more, the Storyteller gives a balanced view on the story and technical aspects of each film, and lets you know if he thinks it’s worth watching. Along the way, the Storyteller faces off against villains that have come to life from his own stories. Premiering in 2011, Indy Christian Review ran for 9 seasons, concluding with its 100th episode in December 2015. Episodes averaged between 4-5 minutes, with a few specials going longer. In January 2019, to celebrate the 8 year anniversary of the show, a tenth miniseries season premiered, bringing the series to a final conclusion. The entire series can be watched in the players below.